2 Beds 4 Baths 2,045 Sq. ft. Description: Exceptional garage th w/views of lake & pavillion. 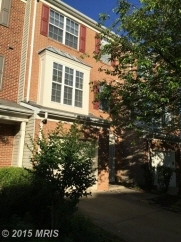 3 lvl bumpout, 2fp's, 2 large mbr w/ba, vaulted ceilings & walk=-in closets, separate soaking tub/shower, dual vanities, all new ss kitchen appliances, newer hvac system(trane),new hotwater htr, new carpets, freshly painted, decks freshly washed&stained, landscaped beautifully,bay window replaced &sliding glass dr, and so much more!